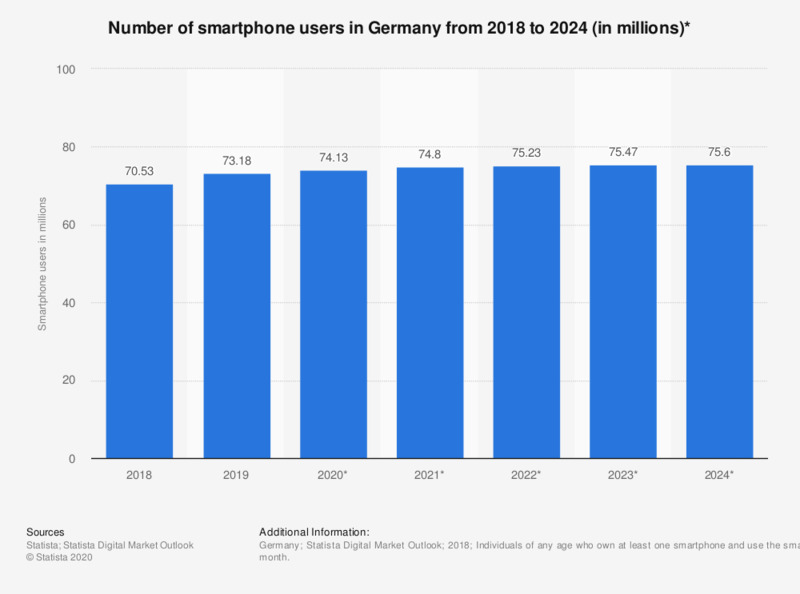 This forecast shows the number of smartphone users in Germany from 2015 to 2022. For 2017, the number of smartphone users in Germany is estimated to reach 55.46 million, with the number of smartphone users worldwide forecast to exceed 2 billion users by that time. Indonesia: If you use a smart phone for personal purposes, what brand is it?